Whenever you think of children’s entertainment these days, one of the first things that comes to mind are balloon animals! 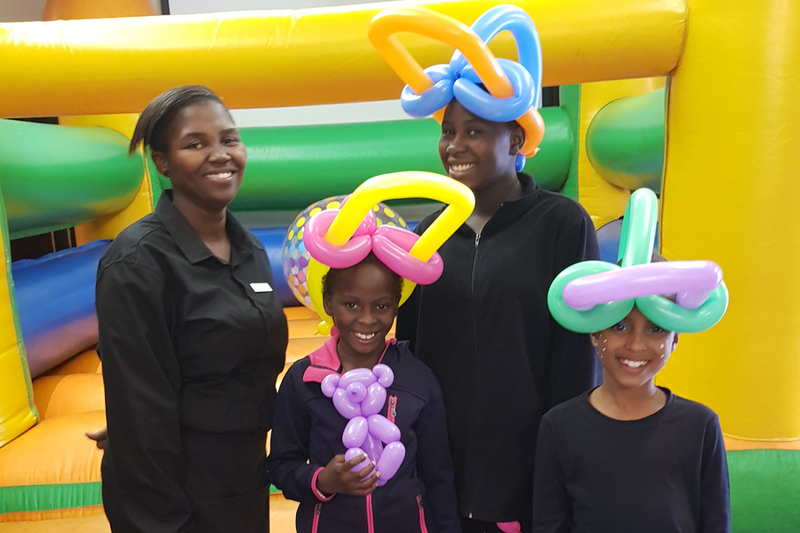 Kids of all ages loooove balloon twisting – be it a simple balloon dog or balloon sword or some amazingly detailed piece of balloon art, it’s always a party winner. 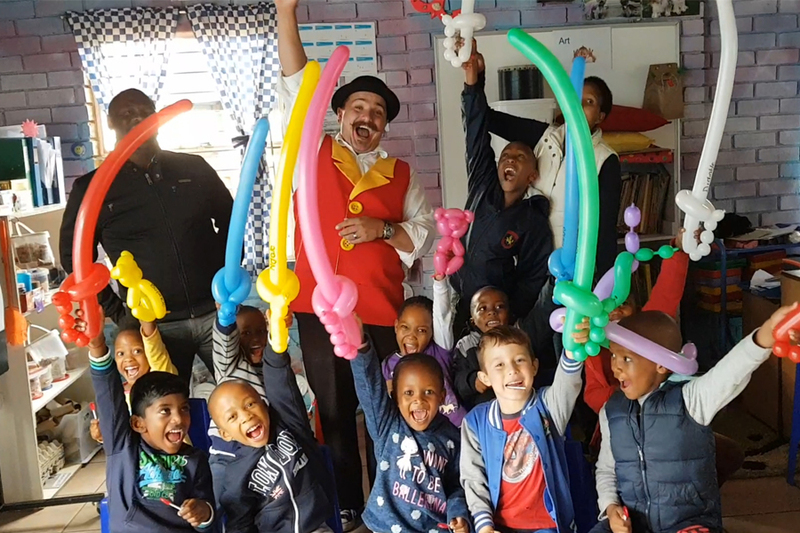 With 'The WOW Factory's internationally trained balloon twisters now available in Sandton, Randburg and surrounding areas in Gauteng, you can expect some pretty amazing balloons being twisted up right before your eyes – nothing is too hard for us – or too simple for that matter – we aim to please even the smallest of kids. For an awesomely fun Kids Party with balloon twisting, you have definitely come to the right place! "Thank you so much for making Tammy's birthday party such a huge hit... Sit back and let The WOW Factory do all the entertaining!" Bring colour and excitement to your kids party or event with brilliant advanced balloon creations! We have two kinds of balloon twisting services, advanced balloon twisting and regular balloon twisting. Advanced Balloon Twisting is something that has to be seen to believed, our entertainers often "wow" both children and adults alike as they skillfully twist up to 10 balloons together to create amazing creations such as cartoon character, super heroes, mermaids, princesses, helicopters, crazy hats, skeletons, you name it! Advanced balloon twisting is a really unique and impressive skill that adds colour and excitement to any party or event! Hey, it's even a great ice breaker for an adults party; Prepare to be amazed! Regular Balloon Twisting is great if quantity is what you're after! Our entertainers can create from single balloons many various animals, hats, flowers and weapons! We have excellent value party packages that include balloon twisters plus more! "Simply the best in Johannesburg!" No birthday party is complete without having an amazing balloon twister from The WOW Factory! 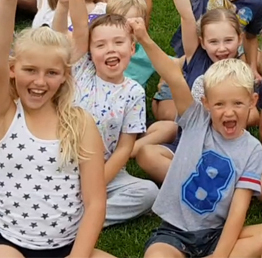 Forget about having a boring party for your child that nobody remembers... Rather book one of our crazy balloon twisters and ensure that your child has the best party ever, GUARANTEED! Best part... All the kiddies get to take home these special memorabilia that will remind them just how much fun your child's birthday party was! "Thank you so much! My baby girl and her friends (me too!) had an awesome time with Stevie! He was very funny, captivating and the very best part of the party. I will definitely recommend him. One of my friends' daughter already wants him for her birthday..."
Q: How many balloons do the entertainers make in one hour? A: If you select Advanced Balloons, the entertainer can make up to 10 balloons per hour. 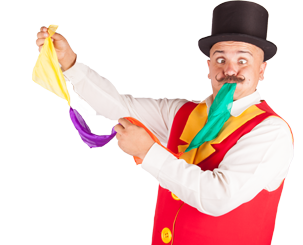 If you select regular balloon twisting, the entertainer can make up to 30 balloon designs per hour. Q: Do you do adult parties? A: Absolutely! We can create fun G-rated balloons that your adult guests will love! We've provided balloon twisting at awards nights, hen's parties, 30th's and more. Q: Do you provide balloon twisting for charities/not for profits/preschools? A: We like to be able to look after those who are in turn looking after others, so for these kinds of events, we offer incredible discounted rates. Please contact us for your quote. Q: What's the difference between Advanced Balloon Twisting and Regular Balloon Twisting? A: Advanced balloons are made using many balloons per design. Regular balloons are made out of one or two balloons. They are balloons you may have seen before such as dogs, swords, flowers, etc. "We love how professional you all were at our event. The children loved the balloons and you were certainly a highlight of the evening. We all thank you for the fun time you gave us and would recommend you to all our clients!" Our high quality balloon twisters are available for any event in Sandton, Johannesburg, Randburg, Pretoria and the whole of Gauteng.